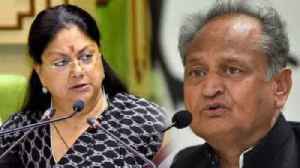 Rajasthan chief minister Ashok Gehlot and former chief minister Vasundhara Raje Friday condemned the Pulwama terror attack that claimed the lives of at least 40 CRPF personnel. Offering his..
▶ Videos for "Vasundhara Raje"
Congress President Rahul Gandhi addresses a public meeting in chittorgarh, Rajasthan. 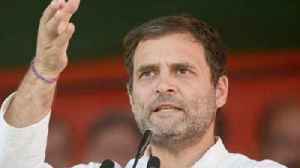 Rahul Gandhi targeted PM Modi and Vasundhara Raje, rahul gandhi also said that setting up a Food Processing Factory..
Rajasthan Election, Vasundhara Raje may lose from Jhalawar Seat in the upcoming Vidhan Sabha Election. As per the reports, Congress is on lead as Voters are not happy with Vasundhara Raje. 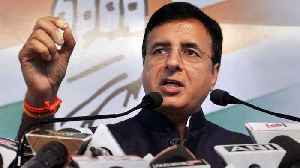 Watch the..
Randeep Surjewala says, BJP’s motto is to benefit private companies, loot rich treasury of Rajasthan. 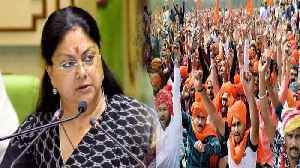 After leveling serious charges against Rajasthan CM Vasundhara Raje-led BJP government over..
Rajasthan : The BJP is continuously making rallies, but in the survey BJP is seen shaking in Rajasthan and the Congress government seems to be formed. 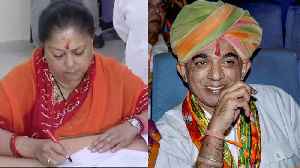 At the same time, BJP's national president Amit..
Rajasthan : Chitra Singh, the wife of Congress candidate in Jhalrapatan seat Manvendra Singh, has said it would be a tough fight in the home turf of Chief Minister Vasundhra Raje, but expressed..
Rajasthan : The Tonk assembly constituency in Rajasthan seems to be headed for an interesting battle of opposites, state Congress chief Sachin Pilot is contesting state elections for the first time,..
During the campaigning in Rajasthan, a tea-seller stopped talking to Vasundhara Raje. A person is standing with tea. There is a crowd of people around him and Rajasthan Chief Minister Vasundhara Raje.. 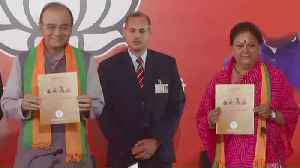 The BJP on Tuesday released its manifesto for the December 7 Rajasthan polls, saying it had met 95 percent of the promises it had made in 2013. The manifesto was unveiled by Union ministers Arun..
Chief Minister Vasundhara Raje addressed election meetings in Tonke and Bundi and targeted Congress on the viral video of CP Joshi and BD Kalla of Congress, Raje said that our Mother is Bharat Mata..
Rajasthan:The BJP expelled 11 leaders, including four ministers in the Vasundhara Raje government, for six years for contesting against party candidates in the December 7 Assembly election, said a.. In Rajasthan, the controversy over the sharing of tickets in BJP is not taking the name of the peace. 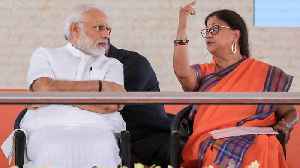 At the same time CM Vasundhara Raje is also convinced that there is no wave of 2013 BJP in..
Rajasthan:Vasundhara Raje attacks on Sachin Pilot at Deepawali Milan festival held in Jaipur.BJP leaders raised the question that Sachin Pilot wants to come from Saharanpur in Uttar Pradesh to become..
BJP cuts Vasundhara Raje mami Maya Singh ticket. 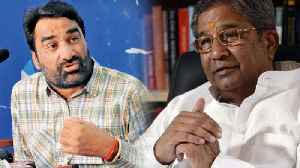 The Bharatiya Janata Party on Friday issued its first list of 177 candidates for the single-phase November 28 Madhya Pradesh Assembly elections and.. 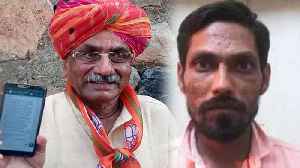 In the Rajasthan elections, rebel leader Hanuman Beniwal has shocked the BJP-Congress. 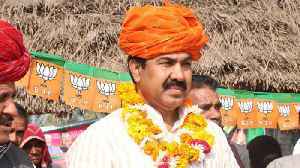 Hanuman Beniwal formed his new party National Democratic Party. 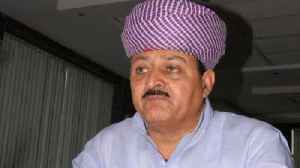 Which is believed to be a major setback for CM..
BJP MLA in Rajasthan abuses official: ‘If I slap you, you will urinate in your pants’.Ladpura lawmaker Bhawani Singh Rajawat told deputy registrar of Rajasthan State Co-operative..
Will new national post take Vasundhara Raje away from Rajasthan? 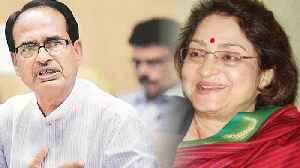 Also it puts forth the question - what now lies in store for Raje; would Raje hold any position in the state. BJP president Amit Shah appointed Shivraj Singh Chouhan, Vasundhara Raje and Raman Singh as party presidents on the eve of the BJP's two-day national council meeting, which is expected to set the tone..
Former Madhya Pradesh chief minister Shivraj Singh Chouhan, former Chhattisgarh chief minister Dr Raman Singh and former Rajasthan chief minister Vasundhara Raje have been appointed as national..
BJP is reportedly considering three options for the former chief minister before taking a decision on the tricky issue. The Congress claims that 250 farmers committed suicide in Rajasthan under tenure of former chief minister Vasundhara Raje. On Saturday, the freshly inducted cabinet also decided to set up an interdepartmental committee to scutinise short-term farm loan waiver announced in the state. 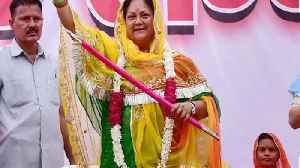 During the tenure of the previous Ashok Gehlot government, former chief minister Vasundhara Raje was the LoP in the Assembly. During the tenure of the BJP government, it was made mandatory to use the Deen Dayal Upadhyay logo on all government orders, notifications and letterheads. The year started with three women chief ministers but after the recent elections, Banerjee is the only one to be in office. While, Vasundhara Raje Scindia lost power in Rajasthan, Jammu and Kashmir's..
Ashok Gehlot took oath as Rajasthan's chief minister on Monday on the premises of the historic Albert Hall in Jaipur. Along with Gehlot, Congress leader Sachin Pilot also took oath as deputy chief.. 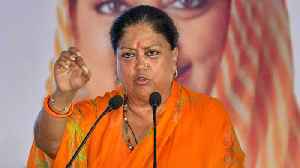 The reason, sources say, is deep-rooted angst against the Vasundhara Raje government which the workers say didn't pay heed to their demands. 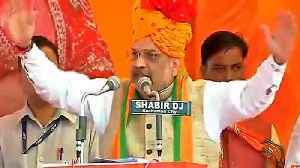 While Gehlot, 68, popular with the masses across caste lines, was the face of the Congress campaign as the implacable rival of BJP mascot Vasundhara Raje, Pilot, 41, steered the state unit for five..
Ashok Gehlot has accused Vasundhara Raje of ending several projects started by him as CM in years gone by. Now, he is set to resume them. 13, Civil Lines was allotted to her as a former chief minister in 2008. She continued to live there and designated it as the chief minister's residence during the last five years. 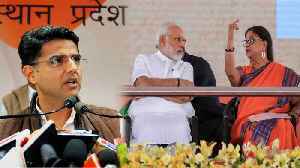 The defeat of BJP's three chief ministers (Shivraj Chauhan, Raman Singh and Vasundhara Raje), who before 2014 were counted among contenders for leading the party into the polls, leaves Prime Minister.. Since 1993, Rajasthan's voters have never retained the incumbent government. This time too, the pattern was repeated. 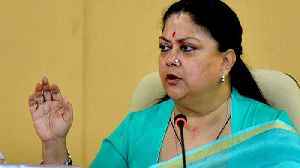 This time Raje's winning margin is 34,980 votes while last time in 2013, she had defeated Meenakshi Chandrawat by over 60,000 votes. 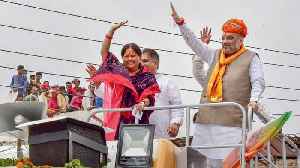 However, Chief Minister Vasundhara Raje and her five cabinet colleagues have won their respective constituencies.